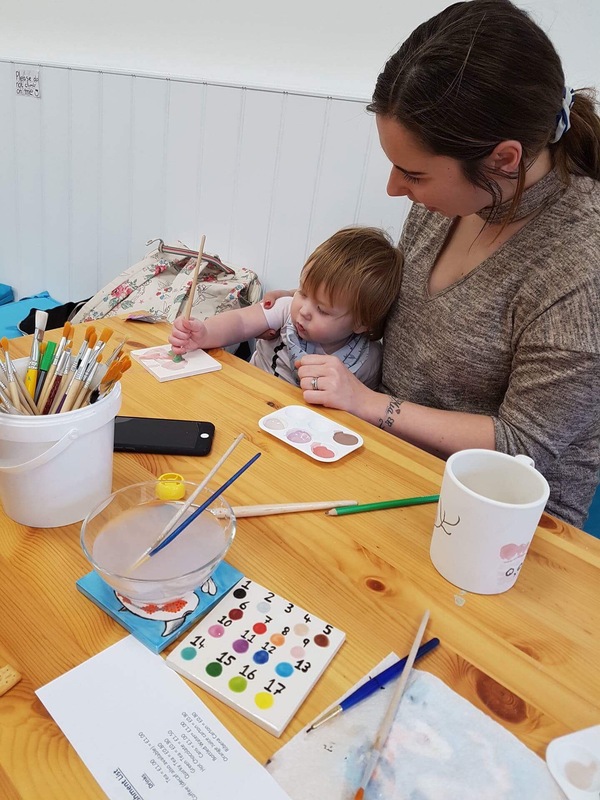 Toddler Days Out in Brighton – Pottery Painting – But First, Tea. As the weather becomes crisper and wetter, trying to get a toddler out of the house becomes an increasing struggle. There are some lovely family friendly places you can go, but annoyingly, the majority aren’t winter weather friendly! So when my friend suggested that we take our kiddos to do some pottery painting, I kicked myself for not thinking of it sooner! We took Edie when she was 5 weeks old and loved the experience. I came away with a beautiful mug with her teeny tiny footprints forever imprinted. It’s one of my items I’d go grab in a fire, I love it! Well as you can imagine, 14 month old Edie didn’t sit quite as beautifully this time around. However, when it came to having her foot painted, she sat staring at the paintbrush, doing the odd little toe wiggle. We were very lucky that the shop was empty and the owner, Amy, was lovely. 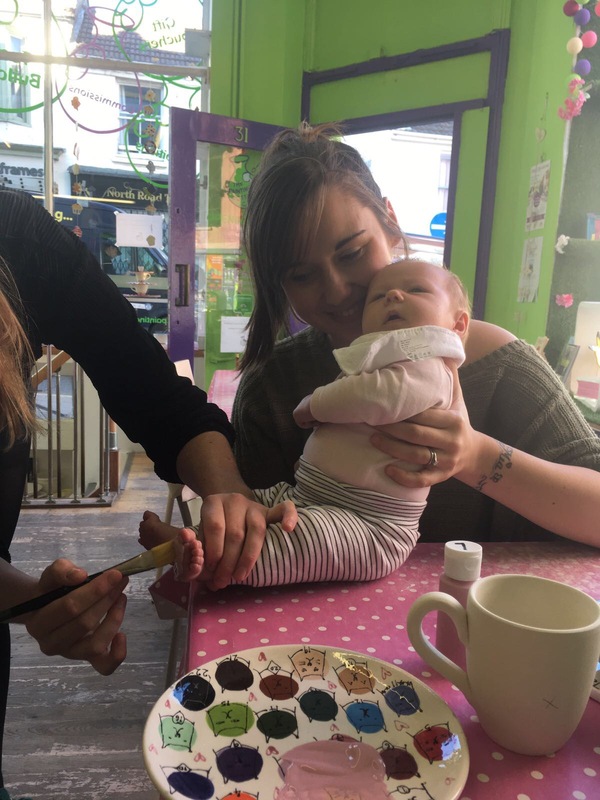 So Edie was free to potter (ha) around the shop whilst I attempted to paint. There were a wide range of items that you could paint and prices varied depending on your item. But all costs included the painting, glaze and cooking. 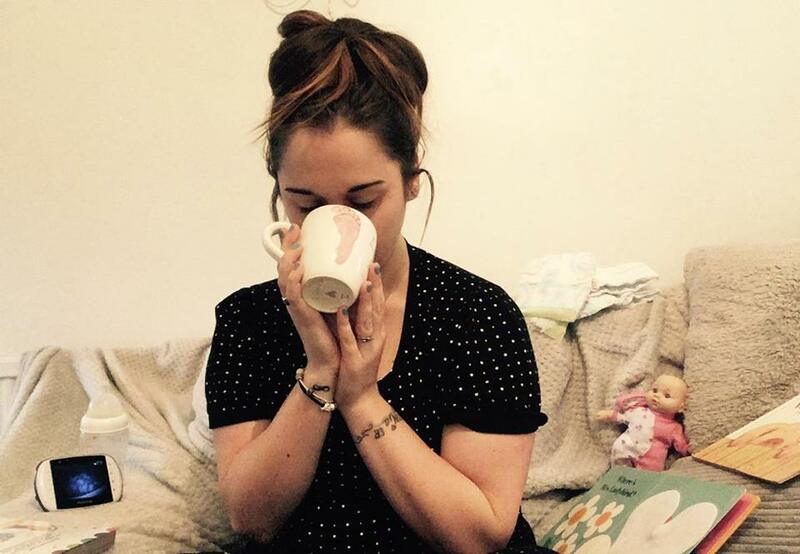 Excited to make another mug to add to my ever growing collection, imagine my heartbreak when we found out that Edie’s chunky little toddler foot was too big to fit on the mug!!! But fear not, just meant I had to get creative! Edie didn’t want to be left out of all the fun! She kept grabbing the paintbrushes, so I bought her a coaster that she could decorate herself! Whether Edie has found her calling in life as an artist is yet to be decided. She loved it so much that she decided to scream the place down when it was time to leave. Our pieces were ready to collect 3 days later! 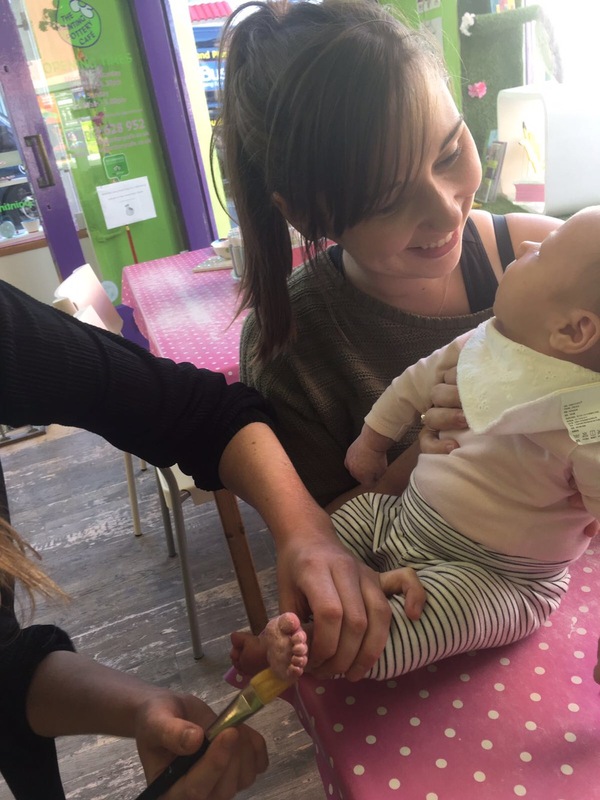 So if you’re looking for a different toddler friendly day out, you should definitely try it! 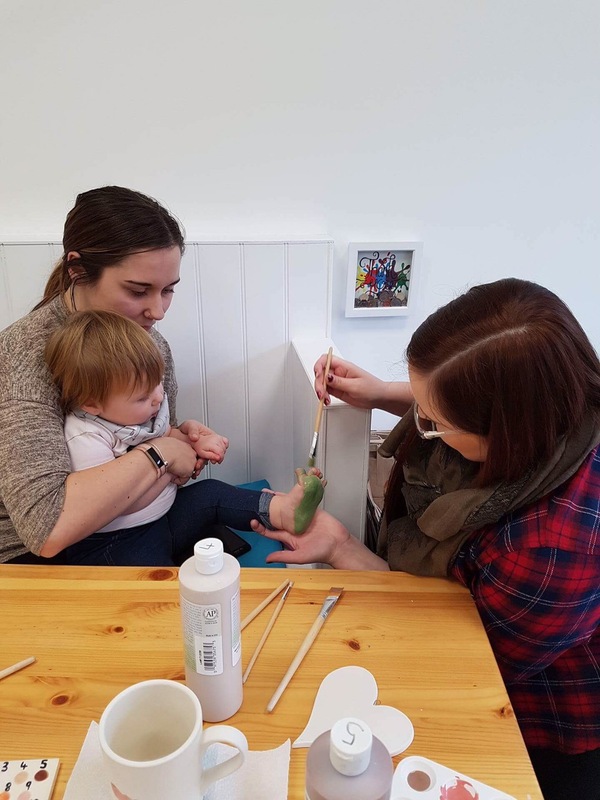 We went to Amy’s Pottery Painting Studio in Lancing and also Painting Pottery Cafe in Brighton. Previous Post A Toddler Friendly Christmas Tree!